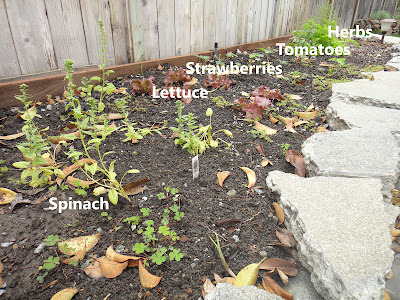 Inspired Honey Bee: host post: how does my garden finally grow? 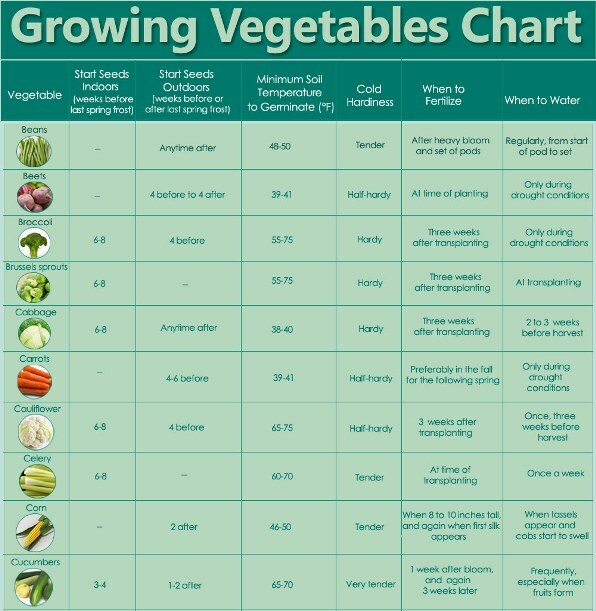 host post: how does my garden finally grow? Wouldn't it just be peachy to pick fresh produce from our own yard? To not throw away bundles of herbs that you picked up during your weekly grocery trip when you only needed a small stem? Like everything else, Pinterest has inspired me to educate myself on seasonal fruits and veggies and learn how to arrange them for optimal growth. When the backyard was redone last summer, I asked that the broken concrete be converted into a garden box along the side of our house. The workers added leftover dirt from the yard into the box and then it sat there. For months. Until Spring started peppering the yard with blossoms, tulips and bright green leaves. During a routine trip to Orchard Supply Hardware to pick up lavendar, I noticed that the vegetable and fruit plantings received all of the attention, so I brought home cilantro, strawberries, lettuce and spinach. Upon my last check on the garden, everything is growing strong and fingers crossed that I don't need to buy a bunch of cilantro at the supermarket again. Congrats on the new herb/veggie garden! We had a great planter box in our backyard with rosemary, sage, thyme and basil. I can't tell you how convenient it was to just walk out there and clip whatever herbs I needed when cooking. Sadly, we recently tore it down as we start to redesign our back yard :( Can't wait until I can plant veggies and herbs again.